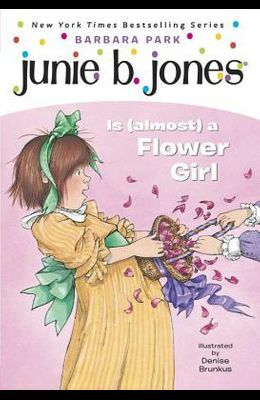 Too bad Junie B. Jones wasn't picked to be the flower girl in her aunt Flo's wedding--but surely she can still find a way to get everyone's attention! Illustrations. From the front Cover Junie B. is a very grown-up little lady. So how come everyone treats her like a baby? It's not fair. But Junie B. knows just how to fix the situation. Her aunt Flo is getting married. What a perfect chance for Junie B. to show everyone how grown-up she is! Too bad she wasn't picked to be the flower girl in the wedding so she could really show off. But surely Junie B. can still find some way to get everyone's attention.